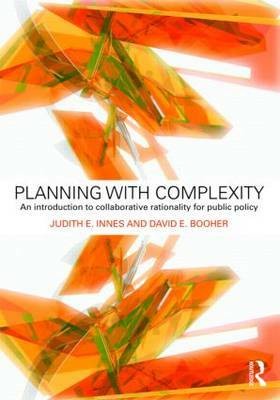 Analyzing emerging practices of collaboration in planning and public policy to overcome the challenges complexity, fragmentation and uncertainty, the authors present a new theory of collaborative rationality, to help make sense of the new practices. They enquire in detail into how collaborative rationality works, the theories that inform it, and the potential and pitfalls for democracy in the twenty-first century. Representing the authors' collective experience based upon over thirty years of research and practice, this is insightful reading for students, educators, scholars, and reflective practitioners in the fields of urban planning, public policy, political science and public administration.